With the increasing hostile environment of the 1670’s and 1680’s, 200 Presbyterians (then called Covenanters), were banished from Scotland for their beliefs. They gathered aboard the sailing ship, Francis and Henry, and began their voyage to the new colonies. Arriving near the current city of South Amboy, many of them longed and searched for a suitable place to worship. In 1692, Walter Ker, aided by John Johnstone and several others purchase a one acre plot of ground near the Wickatunk depot and named this new site Free Hill. Upon this sacred piece of land they built the first Meeting House. As more Presbyterian Ministers began arriving in the greater Philadelphia area, it was decided to create a Presbytery. In March of 1706, several clergy got together and began the organizational process for this new Presbytery. In its first fully recorded meeting, on December 29, 1706, this meeting was held our first building, Moderated by Rev. Francis Makemie, attended by 7 clergy, and during that meeting examined and ordained John Boyd to the Ministry. John Boyd, now being the very first Presbyterian Pastor to be examined and ordained by the brand new Presbytery, was Old Tennent’s first installed Pastor in 1706. What a historical moment and joy for this congregation. 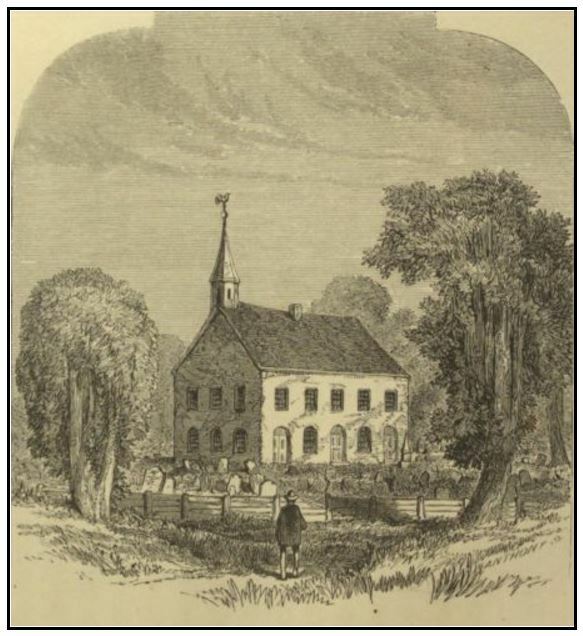 In 1731, the congregation left Free Hill and re-established itself near Freehold. Walter Ker, our first ordained Elder, was instrumental in bringing the congregation to this site. The first acre and a half was bought from Mr. Ker for the price of 1 Shilling. The location was then named White Oak Hill, due to the number of white oaks that surrounded the building location. A one story church building was built and was in use during 1731. The growth of membership and visitors was so quick, that in 1751, the structure was remodeled and a gallery was added and most of the 1731 building was incorporated into the new Sanctuary. As the 1700’s moved forward, we became a leader in the Great Awakening, and many of the famous clergy of the day have all preached in our historic sanctuary. Names such as Jonathon Edwards, George Whitfield, Jacobus Frelinghusen, all the Tennent brothers (John, William, Gilbert and Charles) have all preached from the elevated pulpit. As the years progressed and Independence was a battle cry throughout the fledgling nation, Old Tennent church became a significant part of the Revolutionary War during the Battle at Monmouth. The building was used as a field hospital for the Continentals during that battle, and the battle raged not more than 500 yards to the east of the church. This battle was a pivotal and extremely important victory not just for the Continentals, but was significant for the entire colonies and the morale of the Continental Soldiers. 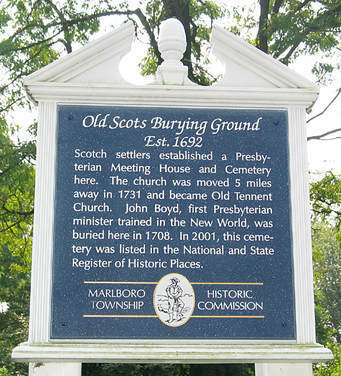 Old Tennent continues to be an active and thriving congregation in the Township of Manalapan, as a member of the Presbytery of Monmouth, PCUSA. We have been having Sunday morning worship services for the entire 325 years of our existence. We have one of the longest continuous Sunday School programs (over 170 years). 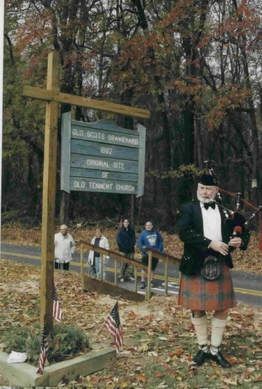 Old Tennent has been a pillar of this community for over 300 years and will continue to be a “church on the hill” for years to come. We will continue to serve God in this place for another 300 years! We are a community of believers who seek to follow our Lord with joy and service. We invite you to come and join with us as we share the Good News of Christ as did our founding members. We are hopeful and excited about what God has in store for us as we move into our fourth Century of ministry in this community.